The Wacken Open Air Festival is one of the most renowned hard rock concert festivals if the music industry. The festival started 26 years ago in the city after which it is named. Late this summer UDR Music celebrated the festivals 25th anniversary – marked in 2015 – with the release of the festival’s 25th anniversary recording. Considering that the recording presents the show lineup from the festival’s 25th anniversary, its title is a little bit misleading. That aside, it is still an enjoyable experience for any purist member of the metal nation worldwide. That is due in no small part to the lineup presented in the recording. This will be discussed shortly. The bands’ performances are just as important to note in the recording’s presentation as is the recording’s presented lineup. That will be discussed later. The platforms on which the recording has been made available rounds out the most important of the recording’s elements. Each element is clearly important in its own right to the recording’s presentation. All things considered, Live at Wacken 2015 – 26 Years Louder Than Hell is one of this year’s top new overall live recordings. Live at Wacken 2015 – ­26 Years Louder Than Hell is one of 2016’s top new overall live recordings. It is hardly the first live recording that the festival’s organizers have ever released. Even with that in mind, it is still an enjoyable recording for the festival’s fans and for the purist metal legions around the world. That is due in no small part to the recording’s featured performer list. 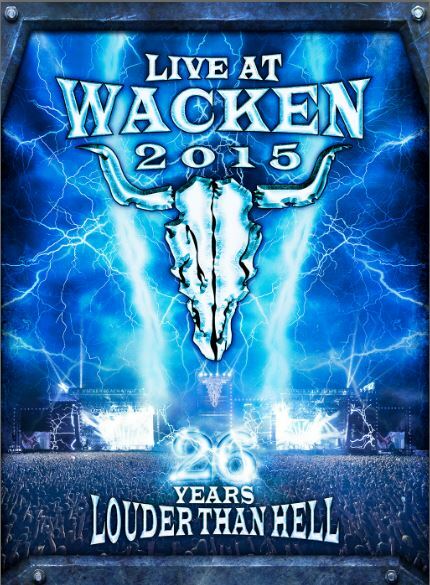 A total of 107 bands performed on Wacken 2015 between the Bullhead City Circus, Party Stage and double main stage. It goes without saying that considering that mass of metal, there’s no way that UDR or the fesitval’s organizers could have possibly featured every one of those bands. Regardless, the featured performer list included in this recording is still impressive in its own right. That list includes the likes of Judas Priest, Danko Jones, Uli Jon Roth, In Flames, Annihilator and so many others. Simply put, the perfomer list featured in this recording pulls from a number of metal’s sub genres and from so many eras of metal’s history. 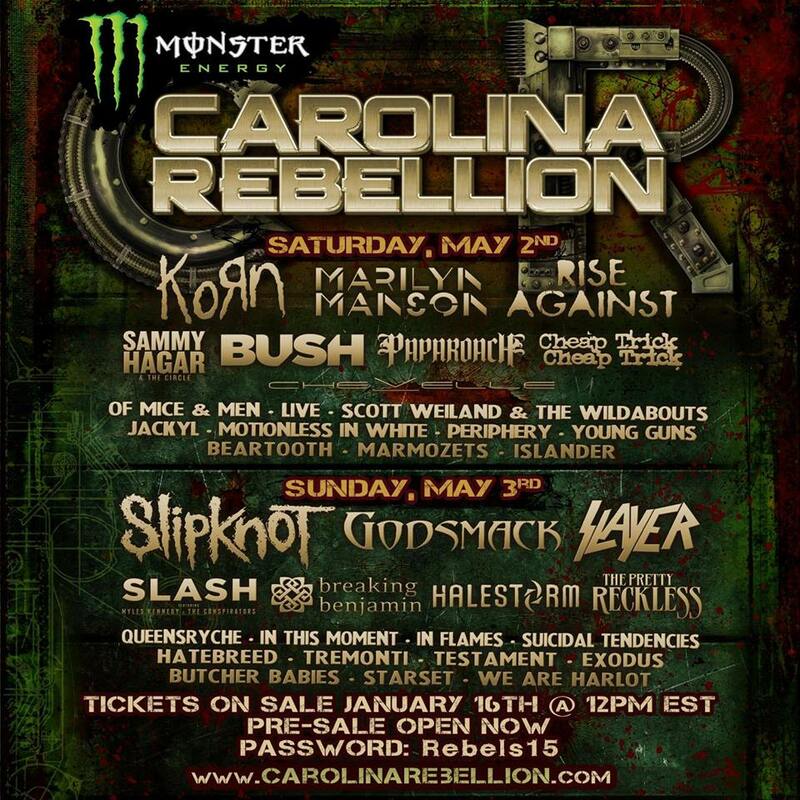 It goes to show the respect that the festival’s organizers and fans have for metal, its history and culture. 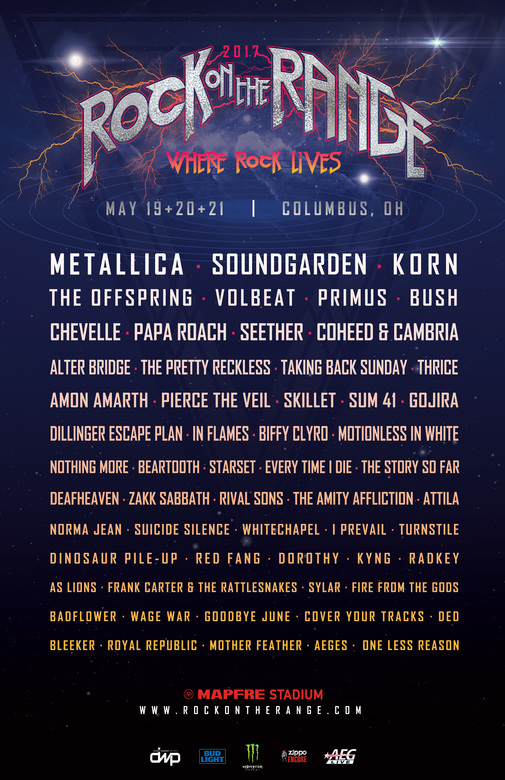 Sure, it would have been nice to have Dream Theater included in the featured performer list, or maybe Hellyeah, or even Prong (yes, even Prong performed at Wacken 2015). But the performer list included in this recording is still impressive in its own right in the end. Considering this, it should be clear why it is such an important piece of the recording’s presentation. It is just one of the important elements to note. The featured acts’ stage presence in their performances is just as important to note here as the acts themselves. The acts that are featured in UDR Music’s new Wacken Open Air Festival recording are important in their own right to the recording’s overall presentation. That is because while hardly every one of the bands that performed at the festival, they represent a wide swatch of the metal community and its history. That means the recording will reach just as wide of an audience. While the recording’s featured performer list is clearly an important piece of the recording’s presentation, it is hardly the recording’s only important element. The bands’ stage presence in their performances plays an important part in the recording’s presentation, too. Rob Halford and company prove the importance of the bands’ performances right from the recording’s outset. They take the stage and own it with ease. Halford is at the top of his game both in terms of his vocal talent and his very presence. Glenn Tipton is just as enjoyable to take in as he works his way through the band’s performance of ‘Painkiller. On another note, the members of Running Wild are just as impressive as they work through the high-octane ‘Under The Jolly Roger.’ Skindred’s performance of ‘Proceed With Caution’ will have home audiences on their feet just as easily as it did the audience in attendance of the festival. That is because of the fire and energy exuded by the band throughout its performance. It is just one more example of the importance of the bands’ performance to the festival recording’s presentation. One could just as easily cite the performances from My Dying Bride, In Flames, and Death Angel as proof of that importance, too. All things considered, it is safe to say that every single performance featured in this recording will keep home audiences just as entertained and engaged as the audiences that got to enjoy the festival in person. Even with all of this in mind, the bands’ performances still are not the last element to note in examining this recording. The platforms on which the recording has been made available are just as important to note as the previously discussed elements. The bands that were featured in Live at Wacken 2015 – 26 Years Louder Than Hell and their performances are both key elements in examining the festival’s recording. The featured performer list presents the past, present and future of metal while also presenting a solid cross-section proving what has made the festival so respected for now 26 years. The featured bands’ performances are so important to note because they will keep home audiences just as entertained and engaged as the audiences who had the honor of experiencing the festival in person. While both elements are clearly important both alone and collectively to the recording’s presentation, they are not its only important elements. The platforms on which the recording has been made available are just as important to note as the previously noted elements. Audiences will be happy to know that the recording has been made available on separate 2 DVD/2 CD and 2 BD/2 CD combo pack. The DVD set averages approximately $22 and the BD set $23. Considering that, the various platforms and their prices are relatively affordable for audiences. The only downside to the sets is that their set lists don’t exactly match. Not every song featured in the recording’s DVD and BD presentation is included in the recording’s CD platform. To that end, it is the recording’s only major negative, which is actually a good thing. That means that the recording’s varied platforms and other discussed elements more than make up for that one negative, as unavoidable as it is to note. All things considered, Live at Wacken 2015 – 26 Years Louder Than Hell proves in the bigger picture to be one of 2016’s top new live recordings as well as one of the year’s top new live DVD/BDs and CDs. It is available now in stores and online. Euro/Industrial metal act Amaranthe released its latest full length studio effort this week. Massive Additctive, the band’s third album is as many years is one that will impress audiences in its own right regardless of their familiarity with the band. Anyone that is a fan of Within Temptation, Lacuna Coil and the ilk will enjoy this record from start to finish. The combination of the band’s bombastic, old school shredding and solos, precision drumming, and the vocal talents of the band’s co-vocalists make this a record that every member of the Metal Nation worldwide should hear at least once. The songs’ lyrical content is just as important as their musical sides, too. All things considered, the combination of each song’s music and lyrics makes Massive Addictive one of the best of the underground rock and metal community this year. Audiences that are familiar with the sound established by Amaranthe on its first two records will appreciate that said sound is just as prevalent on this record. What makes this latest full length effort worth the listen regardless of one’s familiarity with the band is the introduction of more and varied electronic elements. The album’s mix of keyboards, sampling and other electronic elements show a certain amount of growth from the band this time out. That is evident right off the top in the album’s high-energy opener ‘Dynamite.’ This aptly titled song is a fitting opener for Massive Addictive as it launches the album with the furiousness and energy of a keg full of dynamite. Yes, that was a cheesy cliché. But hey, it works, right? 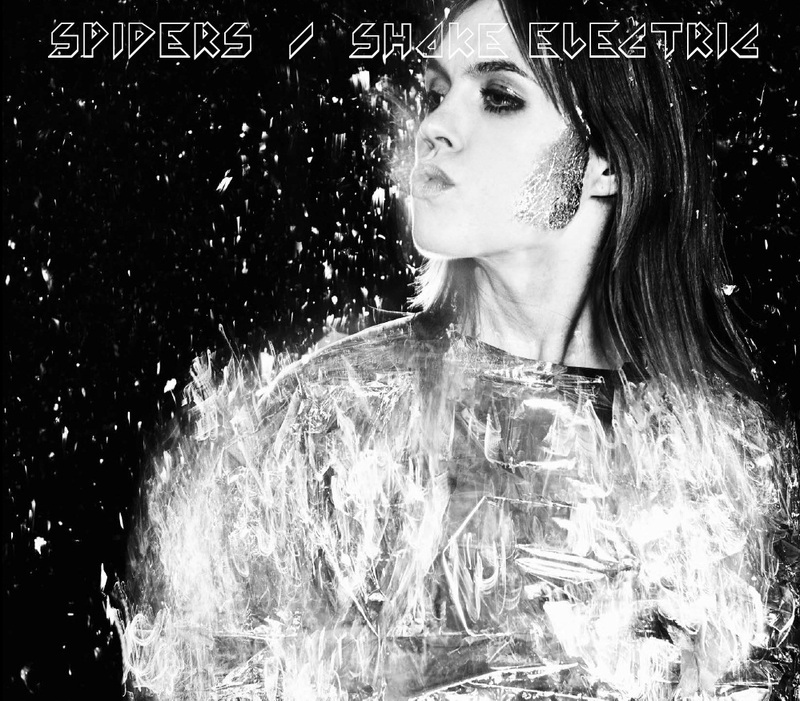 The song opens explosively with that electronic/keyboard mix alongside the solid guitar work of Olof Morck. The influence of other Gothenburg bands such as In Flames and Soilwork in Morck’s performance. The juxtaposition of Elize’s clean vocals to the screams of co-vocalist Henrik add even more intensity to the song. The song’s lyrical content matches its energy quite well. The vocalist pair Light the fuse/See the sign/Unbalanced heart/I’m in my prime/Get out of here while there is still time/I’m reaching overload/I’m going right on top/While you abide my dynamite.” The message here is pretty clear. This is someone holding in a lot and getting ready to burst. If that’s not proof enough, then consider the song’s second verse, in which Henrik screams, “No excuse/Break the bonds/A gasp of air/My will is strong/Get out of here/My mind is futile/I’m just a statuette/Without a timer set/While I apply my dynamite.” This is someone that has a lot of pent up frustrations, it would seem. And the song’s energy seems to present that message, too when set alongside such lyrical content. If that interpretation is correct, then such combination makes this song an even more powerful opener for the band’s new album. That’s because everybody has reached that breaking point and ready to blow. Having a song such as this to which people can relate could serve to help diffuse that proverbial dynamite lit inside them. ‘Dynamite’ is a strong starter for Amaranthe on its new album. It’s just one of so many examples of why audiences new and old alike will enjoy this record. Another example of why audiences will enjoy this record is the album’s latest single ‘Drop Dead Cynical.’ This song comes across as the polar opposite of sorts from the album’s opener with Elize singing, “I need attention/Feed my addiction/I want the action/The satisfaction/You have to feed me/Worse that I inquire/So my discord someday takes me higher.” While it comes across metaphorically, the message seems relatively clear here. If this critic’s interpretation is right, that line alone describes the type of person that is full of himself or herself. That same person has nothing to spread except for negativity. Henrik’s response to this declaration is a powerful retort. He screams in response, “I hope to thrill you that expectations rise/I want to bring you/So that you can compromise/I’m coming at you like a killer now/So it’s the truth/You are drop dead cynical.” That is a pretty strong response. Everybody has met someone like the subject of this song. There may be people even now that know someone like that. If so, this song is a great way to deal with said person(s) without screaming at them or worse. To that extent, it makes for another great positive to this record. 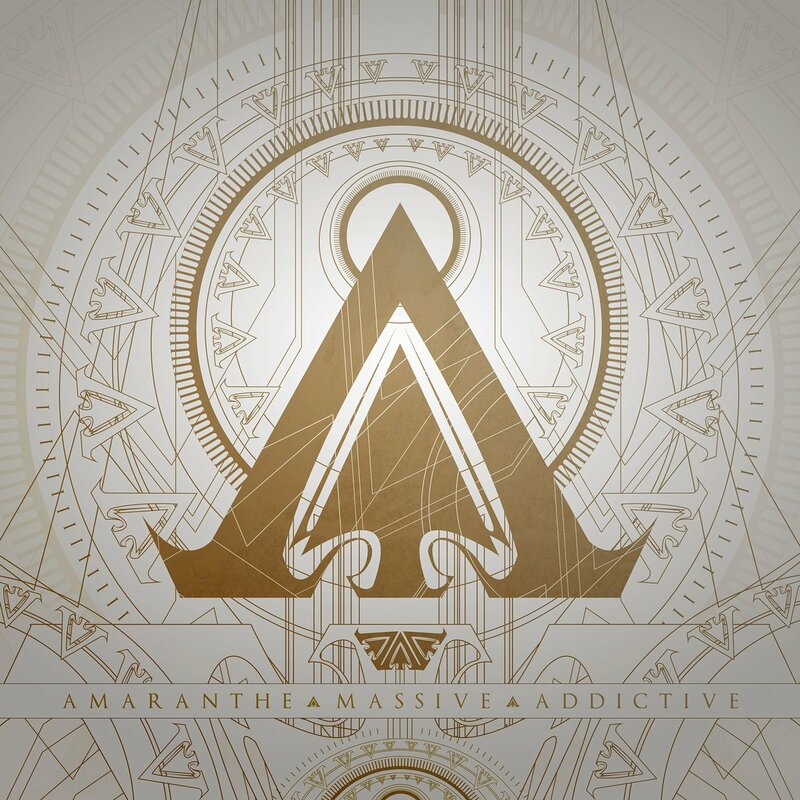 Massive Addictive’s opening tracks make for a solid first impression from Amaranthe on the band’s latest album. As impressive as those two songs prove to be, the album’s title track proves to be one of its best. On a side note, the song’s musical side actually bears a slit resemblance to the chorus of Imagine Dragons’ hit single ‘Radioactive.” The song’s lyrical content aside, what really makes this song such a hit is its musical side. The bombastic, old school style guitar solo is there alongside Morten’s drumming drive the song. Elize’s hypnotic vocals and Henrik’s own vocal assault are not to be discounted here, either. Lyrically, it is certain to create some discussion especially taking into account the song’s infectious chorus. Elize sings in the song’s chorus, “Massive addictive/And suddenly I’m greatly affected/Like burning fire inside/My cyanide/Scared of losing my mind/Massive addictive/I’m totally completely afflicted/As I inspire the lie like a lullaby/Crawling around in my mind.” On the surface one would think that the song makes no bones as to its lyrical topic. It sounds like it is being taken from the standpoint of someone fighting addiction. Elize singing “Suddenly I’m greatly affected/Like burning fire inside/My cyanide” sounds like what someone might feel in getting that high from whatever drug. “Scared of losing my mind…I’m totally completely afflicted” sounds like the psychological and emotional effect of said high. Again, this could be a completely incorrect interpretation of this song. If it is indeed incorrect, it would definitely be wonderful to hear the story behind the song. The very fact that it could garner so much discussion is itself reason that audiences will enjoy this song. The addition of the song’s soaring musical side makes it even more enjoyable and proves why this is perhaps the best of the album’s songs overall. The songs noted here each make Massive Addictive enjoyable in its own way. As enjoyable as they are, the album’s other songs not noted here should not be discounted. At no one point does Massive Addictive fail listeners. Every one of the album’s dozen total tracks makes this album enjoyable in its own way. That is something difficult to say about most albums today regardless of genre. So for Amaranthe to have crafted an album that shines from start to finish shows that this album is just as enjoyable as anything released by the band’s bigger-named counterparts across Europe. That being the case, Massive Addictive proves in the end to be an album that every member of the Metal Nation worldwide should hear and an album that is one of the best in the underground metal community this year. Odds are that many American metal audiences have never heard of Scythia. That all changes here and now. 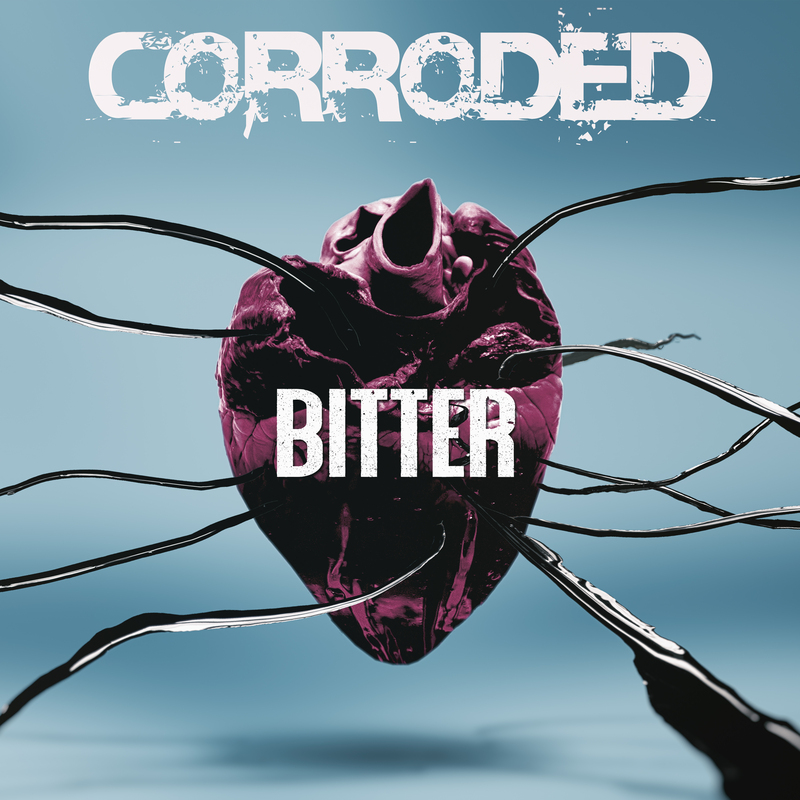 Anyone that is a fan of Trans-Siberian Orchestra, Judas Priest, In Flames, and even Dream Theater will enjoy the latest release from the Canadian power/prog rock band. Of Conquest, the band’s fourth full length studio release, offers audiences even more adventure from the four-piece. Stylistically speaking, this new record presents a sound that fans have come to know from the band’s previous records. In terms of its content, the band has offered its fans something new once again. Instead of delving into the world of warriors, wizards, the band has opted this time for a high seas hard rock epic. Those that might be new to the music of Scythia will enjoy this record first and foremost of its musical content. While this record boasts a sound similar to Scythia’s previous records, the sound stands out because of its hybrid qualities. This will be discussed later. The story presented in Of Conquest is just as certain to entertain any pure blooded metal head that is open-minded enough to give the record a chance. In giving it a chance, said audiences may very well themselves find this new record to be one of their own favorite rock albums. 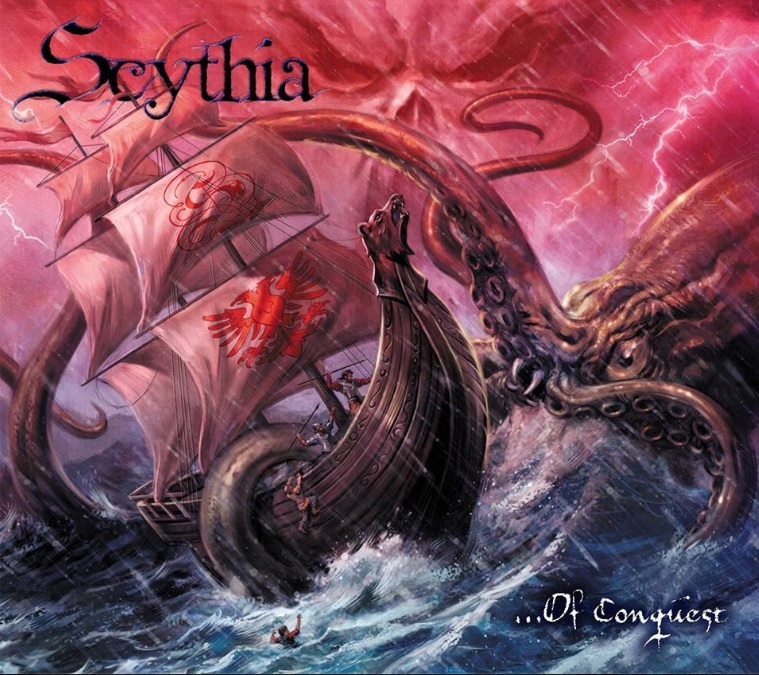 The musical side of Scythia’s new record is relatively similar to that of the band’s previous records. On the surface, it comes across as another power/prog rock record, stylistically speaking. But a deeper listen reveals something even more intriguing. The band’s sound is actually a subtle hybrid sound. While the power/prog element comes out above others, there are also some obviously Swedish metal influences, too. That’s obvious in the performance of lead guitarist/vocalist Dave Khan and even drummer/backing vocalist Celine Derval. As a matter of fact, if one were to listen to this record without knowing that Derval was a member of the band, one would swear that the screaming female vocals that are interwoven into certain songs were that of Arch Enemy vocalist Angela Gossow. Speaking of Arch Enemy, Dave Khan’s prowess on the guitar is just as impressive as that of Michael Amott and other fellow Swedish shredders. It just goes to show the influence of Swedish metal on the rock world. Some might consider it musical heresy, but Khan’s own vocals are even on par with the likes of Rob Halford, Bruce Dickinson and others. Considering that this band released its debut album only four years ago, that is saying something. Audiences that give this new record a chance will be surprised to find themselves agreeing with this comparison, too. The positives of Of Conquest don’t end here, either. Just as noteworthy with this latest release is the album’s lyrical side. Scythia has given its audiences a new story with each one of its previous releases. Those releases have been steeped in fantasy and legend somewhere along the lines of perhaps Amon Amarth and others, only toned down. There is still plenty of myth on Of Conquest. But this time, the myth is used in a high seas hard rock opera of sorts. This album presents a young protagonist that decides to take to the high seas in the late 1500s. At first things seem great. But it doesn’t take long before the young unnamed subject finds himself on quite the adventure. From getting caught in an unforgiving storm to battling a kraken to facing some unspeakable figures late in his journey, he has great odds to face. Making the story all the more interesting to take in is the fact that despite the band’s hybrid hard rock/metal sound, Khan actually sings his way through each “chapter” of the story. So it’s actually possible to understand what is going on without a dire need for a lyric booklet. Don’t misunderstand that statement. Lyric booklets are always a nice addition for any artist’s album, regardless of genre. It’s just that easy to understand the story. And that is the final piece of what makes this album a surprisingly enjoyable record. The band currently has no live events planned. But fans that want to hear the band live or those that want to check out the new album when it is released can keep up with the band online at http://www.scythia.ca and http://www.facebook.com/scythiametal. To keep up with the latest sports and entertainment reviews and news, go online to http://www.facebook.com/philspicks and “Like” it. Fans can always keep up with the latest sports and entertainment reviews and news in the Phil’s Picks blog at https://philspicks.wordpress.com.